This is a competitive boss spawn system Daroot Leafstorm and I created for Dark Carnival: Remix but can be easily ported to other custom maps. Included in the download is a readme file with instructions on how to set it up in your campaign. This system adds up to 10 custom Tank and 10 custom Witch spawns to each map. One Tank and Witch are chosen randomly (but identical across rounds) for a total of 100 different combinations per map to keep the game varied and interesting. This new system has full compatibility with competitive configs, including the !tank, !sm_tank, !boss, !witch, and !sm_witch commands. Additionally, there are the !b, !t, and !w commands that have the same functionality for non-competitive servers. Both teams are now also able to see the EXACT location you must touch to spawn the Tank, shown with the transparent barrier usually used in scavenge maps. This enables special infected to plan ahead and set up hits around this spot, as well as lets Survivors know exactly where they must go instead of only the vague percentage typically used in competitive configs. Touching this boundary will trigger the Tank spawn. In addition, at the beginning of a map a brief description of the spot is printed to chat so you can know beforehand (i.e. "The Tank will spawn in the warehouse building. (45% Map Distance)"). The exact locations of the Tank and Witch will also glow for both teams before the map begins and Survivors leave saferoom. After saferoom is left, the glows will disappear. The Witch will glow the entire map for both teams, lessening the need to use the !boss commands. In addition, the Tank's spawn location will also glow at the beginning of the round. With this new system you can now place the Tank and Witch spawn exactly where you want them to appear, instead of the game choosing through the director system. 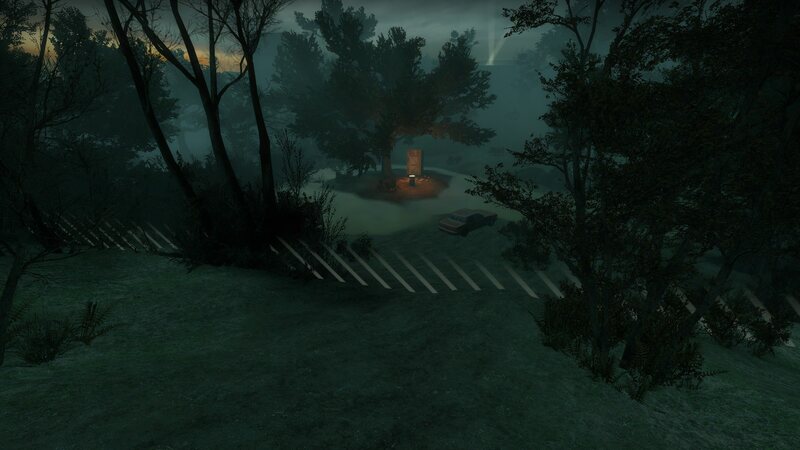 With these exact spawns you can ensure there will never be a "useless" Witch or a Tank that spawns in plain view of Survivors. Witch randomness can also be heavily reduced in this new system: Witches will now always spawn facing the path you take through the map, making crowns have less of a luck element to it and making the Witch not have to make any turns or rotations as she stands up and runs to you. 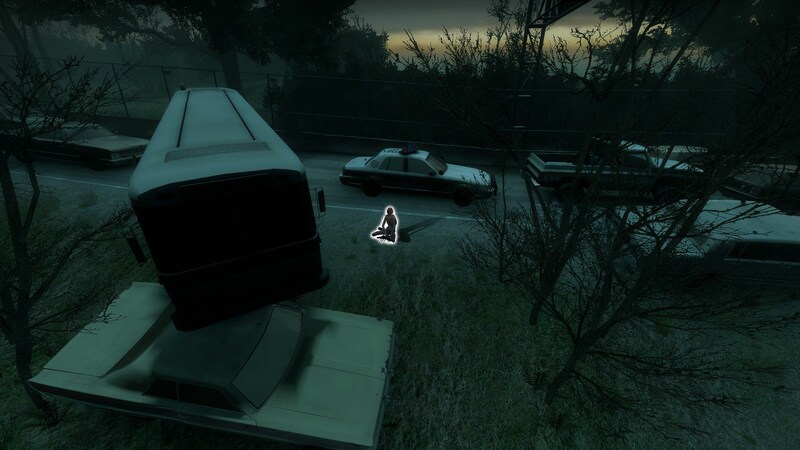 In addition, the Witch now appears in the map from the beginning, instead of when Survivors get close, allowing Infected to better gauge if they can set up an attack around her or not, as well as giving Survivors the option of potentially triggering her early (though this is unlikely as the spawns are typically out of long-distance view). Tanks are also given about 5 seconds of fire immunity upon spawning to avoid getting pre-lit by molotovs since the Survivors will know where you appear. I set everything in this up manually (sorry that wasn't clear in the post). This includes where the Tank himself spawns in the map. 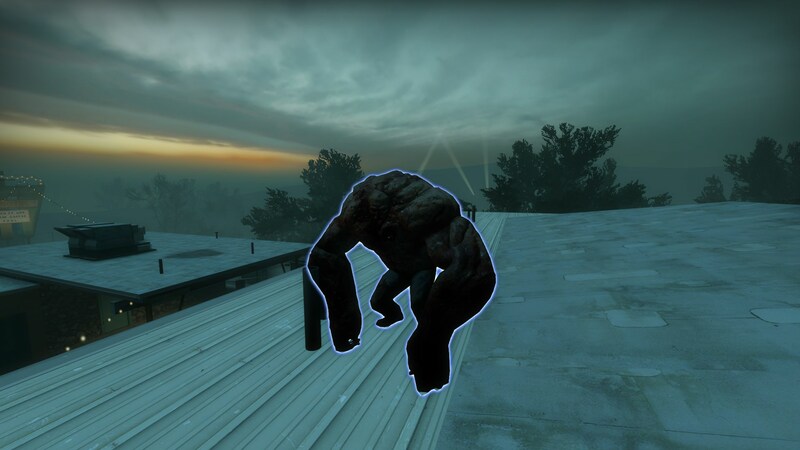 This allows me to spawn him in places that the director normally doesn't allow, such as on rooftops like in the picture. On a side note, I made a discovery recently of a method that would allow me to port this system to competitive configs using stripper:source. It would be a lot of work though. - Fixed The Witch sometimes not spawning for the second team. - Added a print to remind players of the commands upon Survivors leaving saferoom. - The Witch now glows permanently for both teams. This lessens the need for using the !boss command.